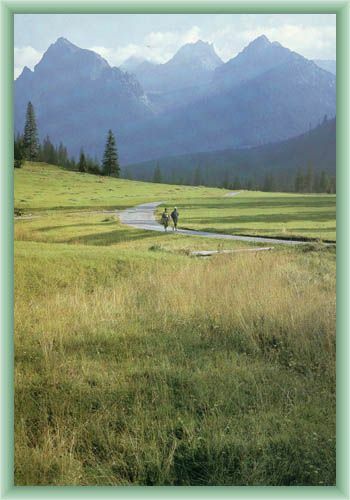 Bielovodská Valley is the longest dell in the High Tatras mountains. At one end a boarder demarcates the dell which goes over several mountains to the peak Rysy. The dell is 10 km long and is unique for some alpine features, wooded slopes and wide spread lover part of the dell. The dell is a significant point of junction with many tourist routes. There is a nice view of Zadní Gerlach, Ganok, Vychodní Vysoka a Rysy mountains if you turn your sight toward the end of the dell.